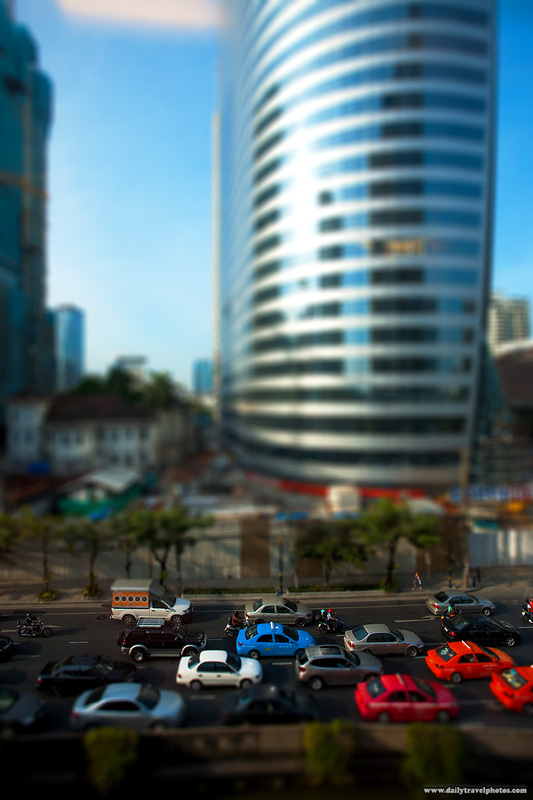 Bangkok's notorious traffic in fake tilt-shift effect. did you edit this to make it lilt shift, or do you have a tilt shift lense? @Nicoleta. It was edited using Photoshop.